Due to weather and road conditions, we will not be heading to Shallow Lake tonight. 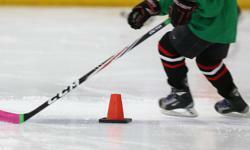 LMH is looking for committed, confident and hockey intuitive Bantam aged Mentors for our Friday Night Skills Clinic. For 12 Friday nights beginning October 4 and concluding December 20, LMH is coordinating Skills Development sessions for Novice and Atom aged players. We require 4 Volunteer Mentors to support the Instructor’s practice plan and work with the Coaching staffs during drill implementation. Hours would be documented for your Community Hours requirement if requested. If you are interested and have the skills noted above, please send an e-mail notification to Mike Smith, [email protected] detailing a brief hockey resume and why you would be a good choice to fill this role. Deadline for applications is September 22, 2013. Only select applicants will be contacted.